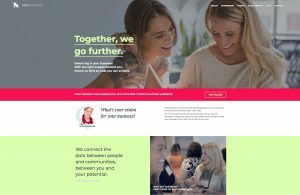 SHE Business, a business support group for women entrepreneurs and small business owners, engaged me to write copy for the website component of their rebrand. This was a lengthy copywriting project, spanning 3 months. It involved working closely with the CEO, marketing strategist and, towards launch, the web developer to nail the look and feel – and message – of the 8-page website. The language had to be inspirational and aspirational – capturing both the big picture view and nuts ‘n’ bolts of how She Business benefits members.